Do you have ... True Grit? Do You Have … True Grit? The movie: True Grit (the original starring John Wayne). The epitome of true grit. Grit can be defined as determination, never giving up, or that one last push when you think you’ve got nothing left, and yet … you push forward one more time. Is there a place for grit in today’s society, a society that is steeped in freebies entitlements, and a “no fault” mentality? Is there a place for grit in an education system where you don’t fail, you can turn in assignments late without consequences, and you can’t rid the system of ineffective teachers because of tenure? Is there a place for grit in our political system where politicians run away from tough decisions because they fear not being re-elected, so they postpone pipelines, budgets, and austerity? 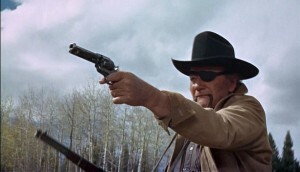 I believe we need True Grit now more than ever! Question: For what idea, value, principle, purpose, or cause, would you place the reins in your teeth and charge head first into that same fight I described above? If you don’t know the answer to that question … it’s possible you might not be living the purpose filled life that you want … a life without grit. And that’s okay … if that’s what you want. But maybe you want something different … if so I have an idea for you. Until you get your answer. Who knows … it might be the grittiest thing you’ve ever done? PreviousPrevious post:Got Emotional Intelligence?NextNext post:Are You Happy Now?